Abetted by Trump, the House will try to remove stream-pollution laws and allow drilling in national parks. With astonishing speed, US Republicans are set to strike down laws or vote on new bills that eliminate environmental protections for the air, streams and national parks. The measures are being proposed so quickly that it has been difficult for environmentalists and Democrats to muster opposition. Much of the Republican strategy depends on a little-used law called the Congressional Review Act, signed into power by Bill Clinton in the '90s to prevent presidents from creating new laws on their way out of office. Since Obama put some of the laws in place during the end of his term, the rule will let Congress strike them down without much fuss, and President Trump isn't likely to veto those actions. "During a presidential transition when we're transferring from one party to another party, that's the only time when it really makes a difference," energy lawyer Scott Segal told the Washington Post last year. The most contentious is a bill to repeal the National Park Service's 9B rule updates, a move that paves the way for weaker oil and gas exploration regulations on pristine public land. "If the Park Service's drilling rules are repealed, national parks across the country would be subjected to poorly regulated oil and gas drilling, threatening parks' air, water and wildlife," said National Parks Conservation Association (NPCA) head Nicholas Lund. Forty parks in the US have split-estate ownership, where the federal government owns the land but cedes below-surface mineral rights to private companies. The rules require detailed planning, but Congress wants to strip out recent protection updates from President Obama and make it harder for future governments to reintroduce them. Ever since Republican President Teddy Roosevelt spurred their expansion more than 100 years ago, there has been a broad consensus across political lines to protect parks. However, the so-called anti-parks caucus has recently angled to unlock more public land for drilling and development. 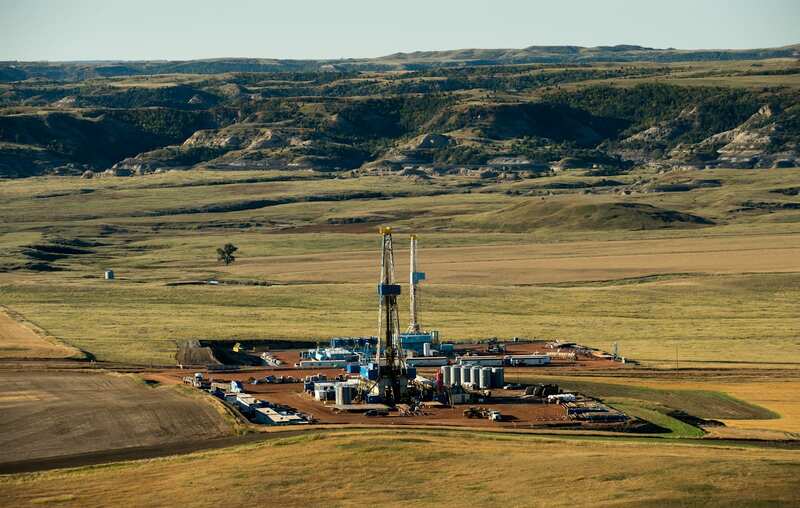 Oil and gas exploration in parks could disrupt wildlife migration routes, cause oil spills that can ruin waterways, strip the land of vegetation and pollute otherwise crystal-clear air. Moreover, "the visitor experience is impacted by this type of structure [drilling rigs]," Theodore Roosevelt National Park Superintendent Wendy Ross told the Guardian last year. In a statement, Arizona Rep. Paul Gosar said that President Obama "has exceeded the intent of the Antiquities Act more than any other president in the history of this country" by designating 24 new monuments and locking up 4 million acres of land. However, a recent Center for American Progress poll showed that 71 percent of Americans are opposed to oil and gas drilling in parks. It also notes that parks, monuments, forests and wilderness areas generate $646 billion in consumer spending, more than the mining, oil and gas drilling and logging industries combined. The House will also vote today to eliminate laws that protect streams from coal mining developments. 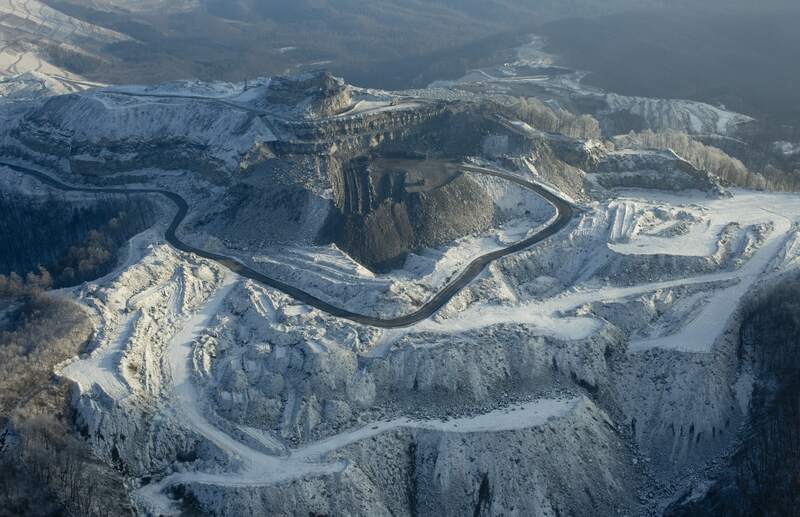 The aim of the rules, developed over years by the Department of the Interior, was to prevent coal waste from contaminating water sources around mountaintop mines. However, Republicans say the law goes too far and makes coal projects economically unfeasible. "Tomorrow, we're turning the page on Obama's war on coal," said Virginia Republican Rep. Evan Jenkins. Ironically, stream-protection laws were first put in place by President Ronald Reagan in 1983. The original aim was to prevent sensitive waterways from being buried under coal mining rubble "that can destroy or gravely endanger rivers," said NPCA director Chad Lord. Other risks to waterways include heavy metal contamination, soil erosion and the lowering of groundwater levels. The Obama administration effectively restored parts of the laws that were stripped out under President George W. Bush. The proposed Republican rule, environmental groups claim, would eliminate much of the oversight related to coal mining operations. "The attacks on this rule are shortsighted and an insult to the tens of thousands of citizens who spoke up for strong stream protections," says Appalachian Voices' Thom Kay. On Friday, Republicans also hope to chop an Obama administration law that would force oil refiners to get a better handle on methane leaks at oil and gas facilities. 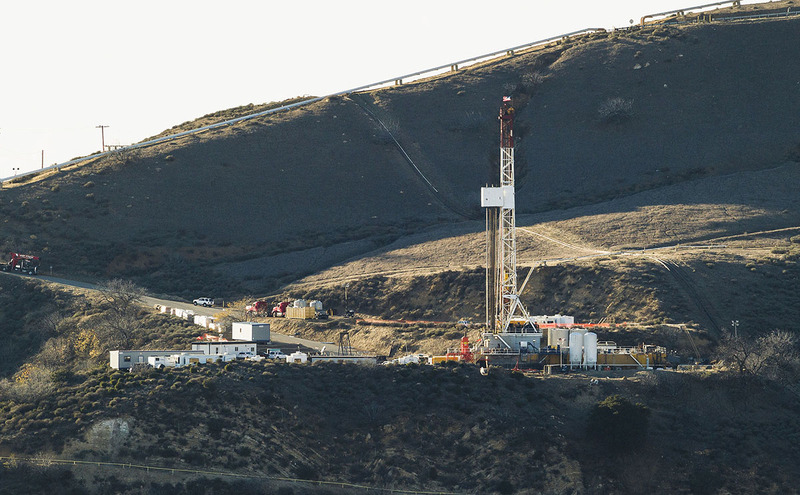 It was designed to prevent disasters like the Aliso Canyon methane leak (below), which dumped 107,000 tons of methane into the atmosphere. Since methane is a potent greenhouse gas, the leak was equivalent to the CO2 emissions from half a million cars. Experts estimate that there are methane infrastructure leaks everywhere, causing unknown amounts of pollution around the nation. However, the oil and gas industry argued that it is independently solving the issue, so the recent rules were "unnecessary and redundant." Another law on the block is a 2011 regulation requiring automakers to achieve an average 54.5MPG fuel-economy rating, a rule that would force them to build more electric cars. Given their age, those rules will be more difficult to undo, as the EPA would need to put a replacement law in place. However, the Trump administration reportedly plans to attack it by going around the EPA and through the Department of Transportation. We're not surprised at what they're doing, but maybe a little surprised at how fast and furious it's all happening. But we were bracing for it and we're ready. Opposition groups have accused Republicans of kowtowing to the industry, ignoring multiple stakeholder groups that helped the last administration craft the rules. On its website, the Sierra Club criticized proposed Trump EPA chief Scott Pruitt, saying he "led the fight against climate action and the Clean Power Plan, doing the bidding of the fossil fuel industry." Recent polls have shown that the majority of Americans, including Republicans and Trump supporters, support renewable energy over coal and oppose the rollbacks by Congress. That will no doubt mean more public protests against the rules, and environmental groups say they're also ready for a fight. However, the Republican-controlled House is killing multiple protection laws nearly simultaneously, making it difficult for environmentalists, the public and the industry to react quickly enough. "We're not surprised at what they're doing, but maybe a little surprised at how fast and furious it's all happening," Sierra Club Legal Director Pat Gallagher told PBS News Hour. "But we were bracing for it and we're ready."